How Far is EV Homes Crest? Crest is a premium housing project launched by EV Homes in Ulwe, Mumbai. 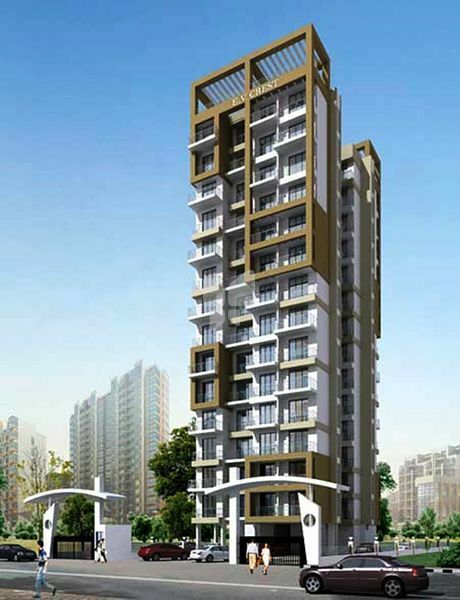 These 3 BHK Apartment in Navi Mumbai are available ranging from 1621 sqft to 1629 sqft. Among the many luxurious amenities that the project hosts are children's play area, 24x7 security services, landscaped gardens, etc. the units are available at attractive price points and offer natural ventilation and convenient location. EV Homes's Crest is Completed property and possession is given by possession on Jul 15. The Apartment will be available for sale . WALLS: Oil Bound Distemper Paint. CEILING: Oil Bound Distemper Paint. PLATFORM: Granite Kitchen Platform with S. S. Sink & Full height Colour Glazed Tiles above platform. FLOOR: Anti skid ceramic Tiles. WALLS: Full Height Ceramic Tiles. FIXTURES/FITTINGS: Concealed plumbing Conventional CP fittings. TOILETS: Marble Frames with Water Proof Doors. MAIN DOOR: Designer Wooden Flush Doors at the Entrance and other Doors. Heavy Section Powder Coated Aluminium Sliding Windowswith Marble Sills. Concealed Copper Wiring with adequate Electric Points Extensive Electric Layout Possible, Telephone Points, TV Points & AC Points. High Quality Gujarat Sand for external plaster Curtain glazing on staircase, Texture Finishing at designated walls.